Tortilla Chips with a Splash of lime and Soy! If you like Have’a Chips, try our version! Preheat the oil. Pre-measure the lime juice and the tamari. Fry the triangles until golden and crispy. 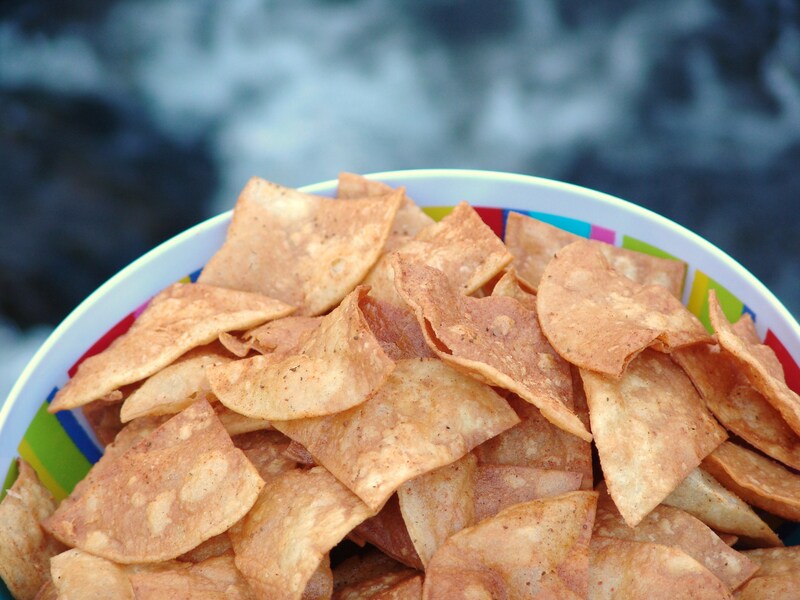 Transfer chips to an over-sized bowl, toss with tamari, salt and lime juice.